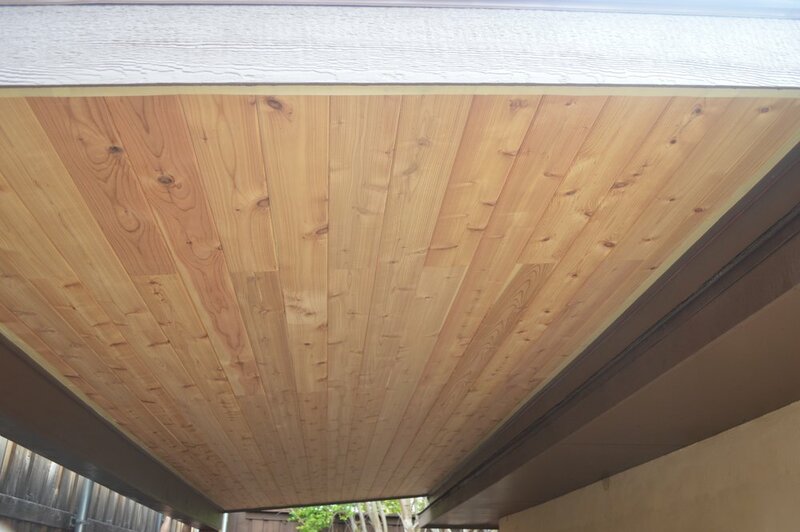 Our very first project when we went FULL - TIME, was a carport addition for a sweet friend’s home. 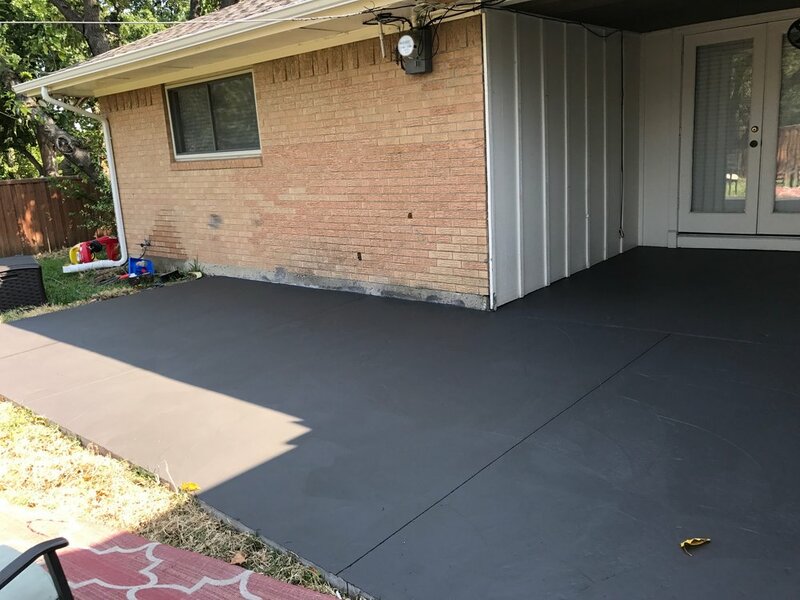 It matched their deck and back patio as well as created a second space for their car. I love this tongue and groove cedar. I think it finishes off a space with so much warmth and character. I love it so much, I added it our own porch!! If you loved our Bosporus Bathroom, then you’ll love this. Well.. it’s the same talented customer. So anything she puts her mind to, is beautiful. 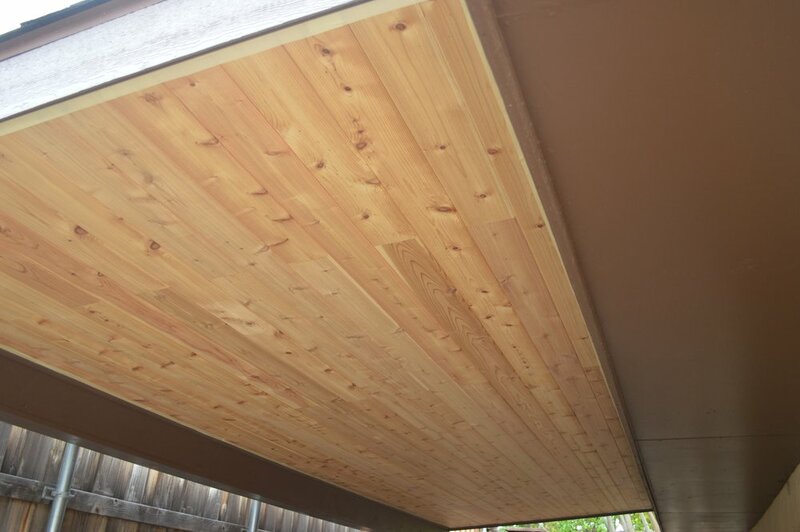 We added some wood siding to her porch ceiling, extended her patio and painted it, and lastly added a pergola to the backside. We love this family and their home. We’re so thankful they’ve let us invade and help create a more comfortable space for them to play and spend their time!! Last summer we completed a bathroom renovation that blew it outta the water. The original pink bathroom (which is incredibly common in Richardson these days) was built in 1960 and looked exactly as it did the day it was built. I would LOVE to sit down with the builders of the homes in Richardson from 1960 and ask what on the planet they were thinking. The minuscule tile used as vanity tops, the square ceramic tile in colors ranging from seafoam green to bright pink. All of these can be found in our neighborhood in Richardson. Obviously, with as many renovations as we’re doing, homeowners are NOT into these colors. The green tile with the pink accents! the 60’s you guys were OFF the wheels. Okay. Enough of my commentary. Let’s talk about that RENO baby. Total gut. The subfloor below the stunning green tile was completely rotten. I would estimate 85% of the bathrooms in this area, have the same issue. Our neighborhood is built on a creek bed so there is a lot of run off and a lot of moisture. 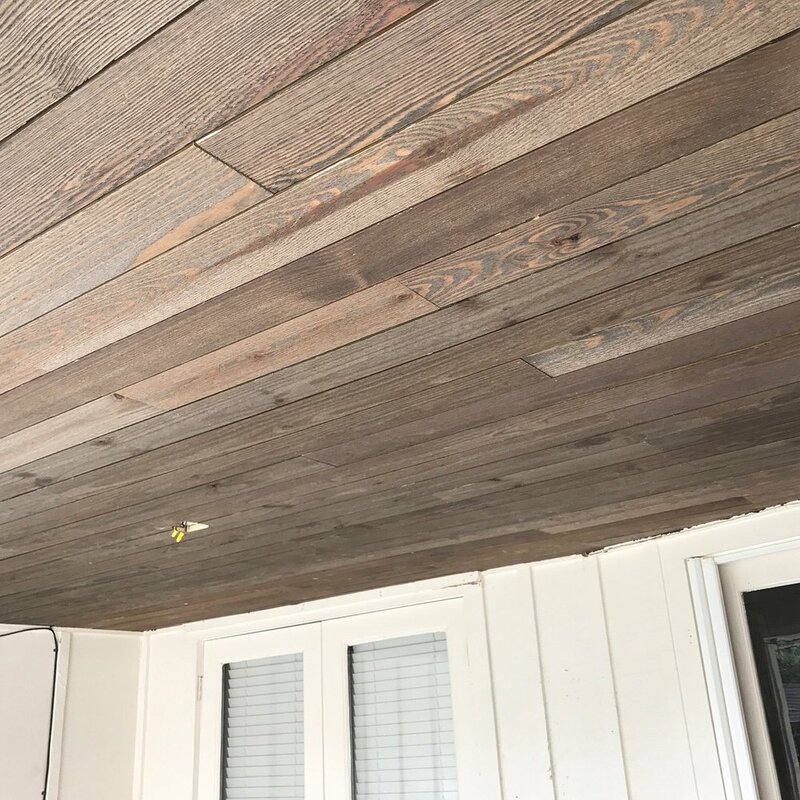 Our client loved the finished look. We also added a ceiling mounted shower curtain, WHICH, KB has been trying to get me to use in a bathroom for years now. 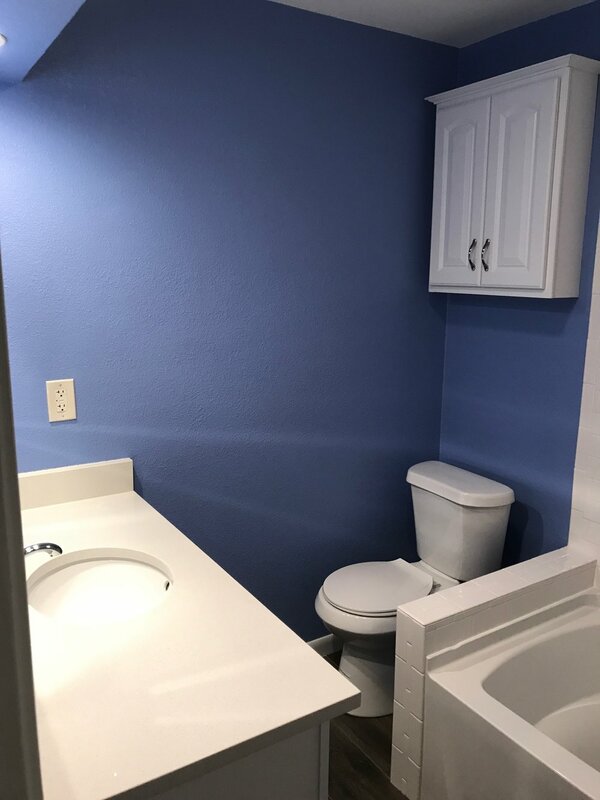 There is now, also, room between the toilet and the tub. That little pony wall makes all the difference in space.